This post about mental health and teens has been sponsored by BetterHelp. All opinions are my own. Parenting teens can be incredibly challenging. This is a time in their lives when hormones are raging and they have an intense desire to not communicate with their parents. Academic stress, societal expectations, and interpersonal relationships create challenges in their lives that they NEED to talk about. How do parents help their teenagers tackle the stress of these chaotic years? And where can teens and parents turn for mental health advice when things get too hard to handle alone? 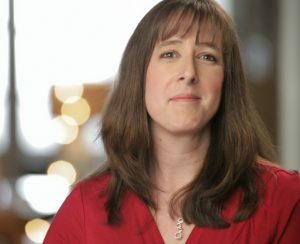 I was asked by BetterHelp to share some mental health resources with my readers. They want you to know where to turn for advice in case your teen needs help. I also thought I would also share some tips on ways parents can improve mental health in teens in small ways on their own. The Centers for Disease Control and Prevention has stated that 1 in 5 American children ages 3 through 17 have a diagnosable mental, emotional or behavioral disorder in a given year. That is about 15 million kids every year who are struggling with mental health issues. You know what is even sadder? They also say that only about 20 percent of those kids are ever diagnosed and receive treatment. Millions of kids are living with mental illness and get no treatment for it at all. 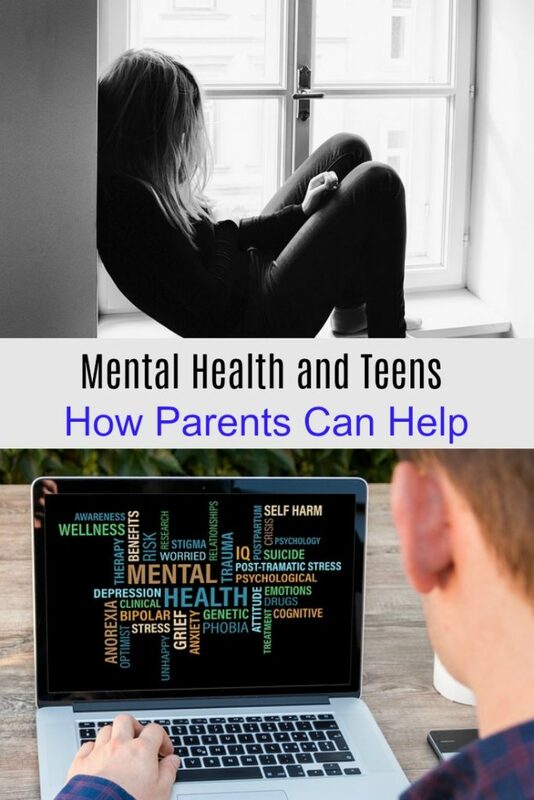 Mental health and teens is not a subject parents should ignore for one more minute. Behavioral issues, academic struggles, teen suicide, bullying, aggressive behavior…. all of these problems are on the rise in teens. Parents need to tackle this problem head on, right now. 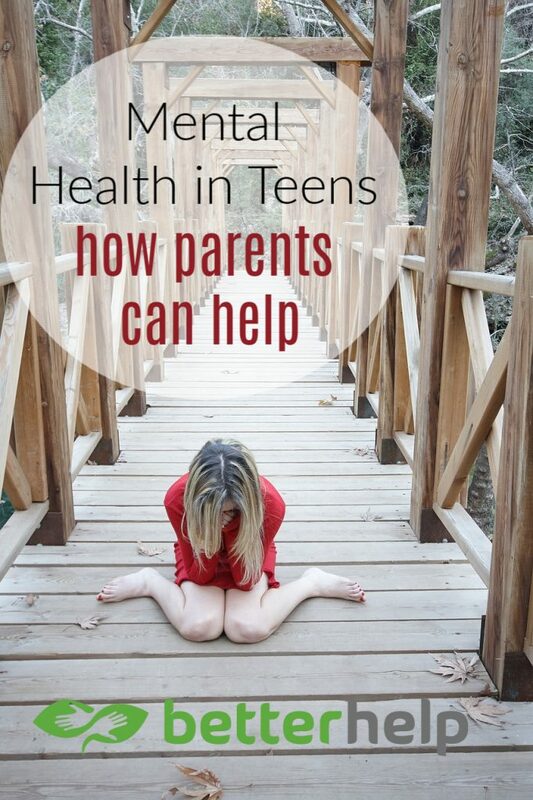 So, what can you do to help your teen tackle their mental health issues? The first thing we can do is help them reduce the stress in their lives. How hard are you pushing your child? Have you set unrealistic academic goals? Is your teen struggling to balance a job, sports, and school work? Sit down with your teenagers and prioritize the items on their to do list to see if they can reduce the stress in their lives. Ask yourself “When was the last time I really communicated with my teen?” It’s hard to get teens to open up, however, the first step in communication is to make time for it to happen. Sit down to family dinner together. Put away your phone and turn off the television. Ask them questions about their day that require more than a yes or no answer. Make sure they know that you WANT to talk to them. And if your teen can’t talk to YOU about an issue, encourage them to talk to friends, a coach, their pastor, a teacher, or another adult that they look up to. You may notice that your teen begins avoiding friends and social activities. Their grades might drop or they spend more time than usual alone in their room. Changes in eating habits and substance abuse may also become a problem. These are all indications that your teenager needs emotional support that they can’t seem to find. BetterHelp is an amazing resource for mental health advice. They have a wide variety of articles to help you learn more about depression, anxiety, and therapy. Many of the topics relate well to mental health and teens. 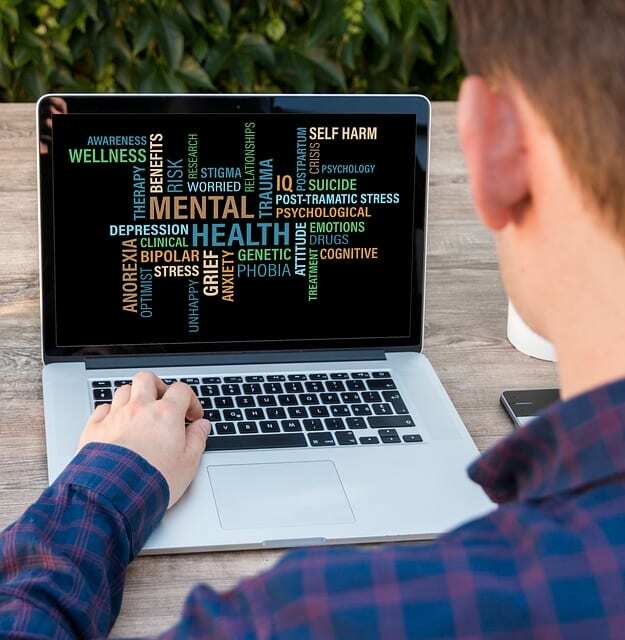 Whether it’s learning about social media’s affect on mental health or tackling emotional issues with exercise, there are loads of articles to help you guide your teen through their mental health struggles. And if your teen needs therapy, they offer that, too. Their goal is to make professional counseling accessible, affordable, and convenient. BetterHelp can connect you and your teen to a licensed counselor in your area or help you find online counseling options that will work for you. Want to get started helping your teen? Check out BetterHelp for mental health advice today. Great article! The stats on teenage mental health is staggering. Especially that only 20% receive treatment. 😵 Thanks for sharing! So glad you found the article helpful. And yes, it is sad that so many are not getting the help they need.